My fascination with the Buffalo Beef on Weck sandwich only exists when I am actually in Buffalo. (I saw a food truck in Tampa a few months ago that sold beef on weck; I quickly dismissed the sandwich). I'm still not quite convinced I like the sandwich but I have this weird fascination with it nonetheless. And since I'm back in the Nickel City for a few weeks this summer, I thought I would seek out more beef on weck variations like I did last summer, as well as have another go at the sandwich. The new hot dog joint in town, Dog e Style---ugh don't even get me started on how awful the name is, has the hometown favorite sandwich, in dog form. As soon as I saw the beef on weck hot dog on their menu online, I knew I had to immediately sample it. 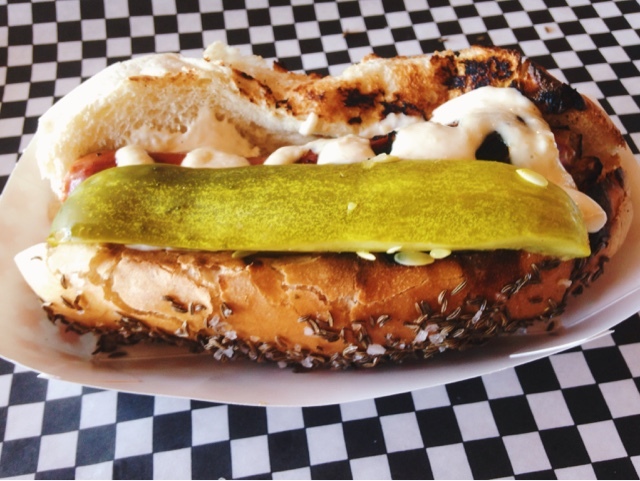 The dog: an all beef hot dog, topped with horseradish mayo in a salted caraway seed bun (the bun seemed to be a normal bun, oiled and then covered in a caraway-salted topping). The actual dog was delicious but the horseradish mayo was a bit muted and the bun was way too salty and caraway-y for me. AND I am not a fan of the toasted hot dog bun. As a Chicagoan, I'm used to a steamed bun when eating hot dogs. The toasted bun ruined my experience since the crunchiness became more of a distraction when trying to eat the hot dog. 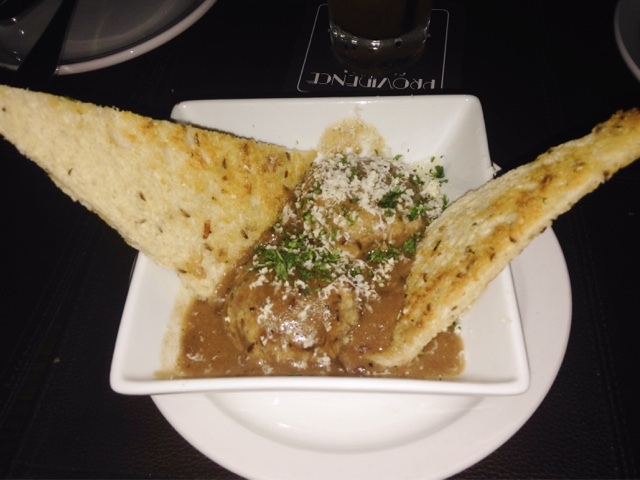 Last summer, seeking out beef on weck meatballs from Providence Social was on my bucket list, but somehow I never was able to cross it off the list. And in the same day I tried the beef on weck hot dog, I later tried the beef on weck meatballs (my day turned into a beef on weck crawl). The tapas style restaurant seemed to be the perfect setting for a post concert dinner, complete with delicious cocktails. However, all of our dishes were too generously salted. The meatballs, while salty, were also quite tough. But looking beyond the obvious problems, I still liked the flavor of the horseradish gravy and the caraway seeds inside the meatballs. If the meatballs weren't tough, I would have thoroughly enjoyed this variation on the sandwich. My past issues with the beef on weck sandwich have been that it's too salty, dry or too spicy. The special friend insists that the best beef on weck in Buffalo is at Bar Bill, located in East Aurora. (I have also heard they have the best wings). 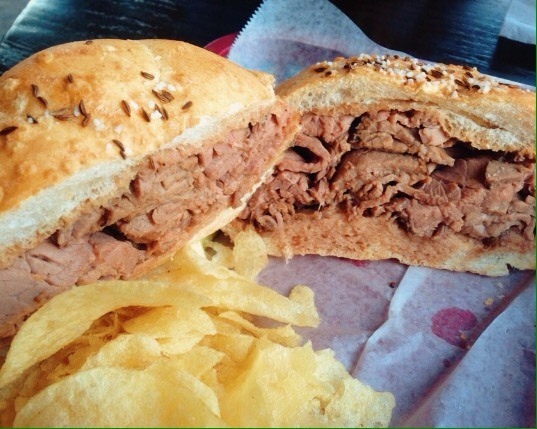 Did Bar Bill's beef on weck remedy all my previous issues with the sandwich? Yes, sir, indeed! The meat was tender and juicy while the roll had the perfect balance of salt and caraway seeds. And the horseradish came on the side so I could control the heat level. The best part of the sandwich: it came in different sizes (mini, small and regular). I ordered a mini so I could also stuff myself with wings. 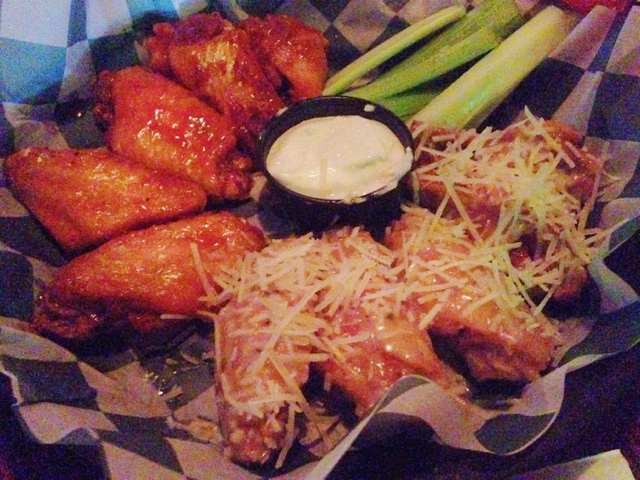 And their wings were also delicious (the hot sauce and the blue cheese sauce were both different and so tasty from any other wings I've had). I can almost say my beef on weck adventures are complete. I've had beef on weck five times in the past five years in addition to beef on weck pizza, sushi, mac & cheese, hot dog and meatballs. But as I started writing this blog entry, I found out there's a beef on weck cocktail. So hopefully I can try it out in the next week!